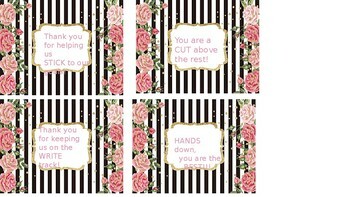 These tags can be cut out and attached to teacher supplies. Items to be included in the gift basket would include pens, scissors, gluesticks, highlighters, sharpies, erasers, crayons, markers, Smarties and a pack of EXTRA gum. 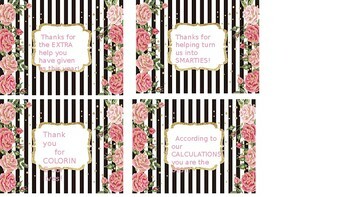 Makes a cute end of the year Student Teacher gift or a gift to classroom Paras!